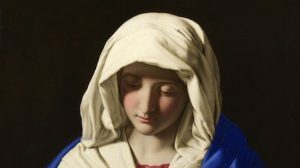 This week SRR welcomes Timothy F. Kauffman back to the show for the final installment in our series on the Roman Catholic doctrine of Mary. In this episode, we read some email from one of our listeners and try to answer the question of whether or not Roman Catholics are Christian. Then we jump into the Roman Catholic doctrine of Mary and consider whether or not she was assumed bodily into heaven. We also re-address whether or not the Roman Catholics are correct in identifying the woman of Revelation 12:1-6 as Mother Mary. Tim Kauffman does another fantastic job of leading us in our discussion of the Roman Catholic arguments and explains why their system is nothing more than a house of cards. As always we want to thank Tim Kauffman and recommend his blog whitehorseblog.com to our listeners. BTWN Episode 252 | Be Reconciled One To AnotherGrappling With Theology Ep. 16 | I Met A Shaman!